Fuller also expressed concerns that a third party might try to alter the show or make it feel like “someone else’s,” which would apparently kill his interest in the program faster than a woman being impaled on a ceremonially placed stag’s head, to pick at random just one of the dozens of horrible images Fuller has been kind enough to gift to the world. 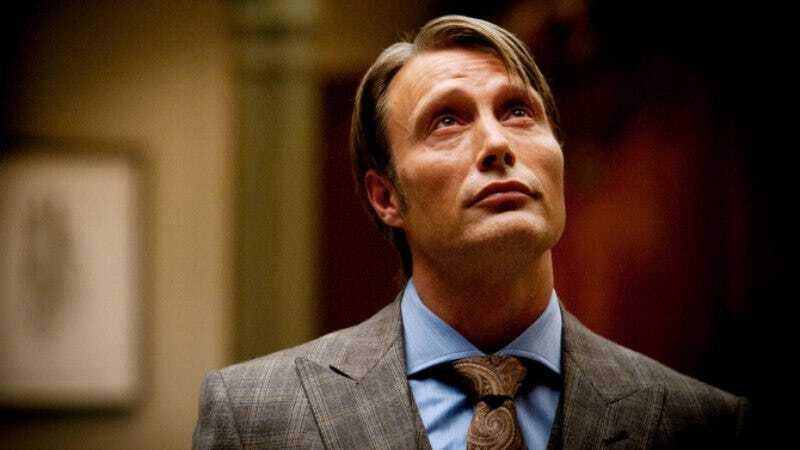 All that being said, the #SaveHannibal hashtag has been used roughly 287,000 times in the last week—a number rivaling the amount of people the critically beloved but always struggling show often managed to pull in as live viewers—and Fuller still seems open to continuing the project, despite his commitment to Starz’s upcoming adaptation of American Gods. And, because this is a discussion of a beloved-but-canceled TV show in 2015, the writer and director couldn’t let his little game of cat and mouse end without one more tantalizing hint: “The planned arc for Season 4 is a very exciting one, so I would love to see the show continue, whether it be as a series or even condensed into a thriller as a film, as well.” To be fair, it’s worked before.